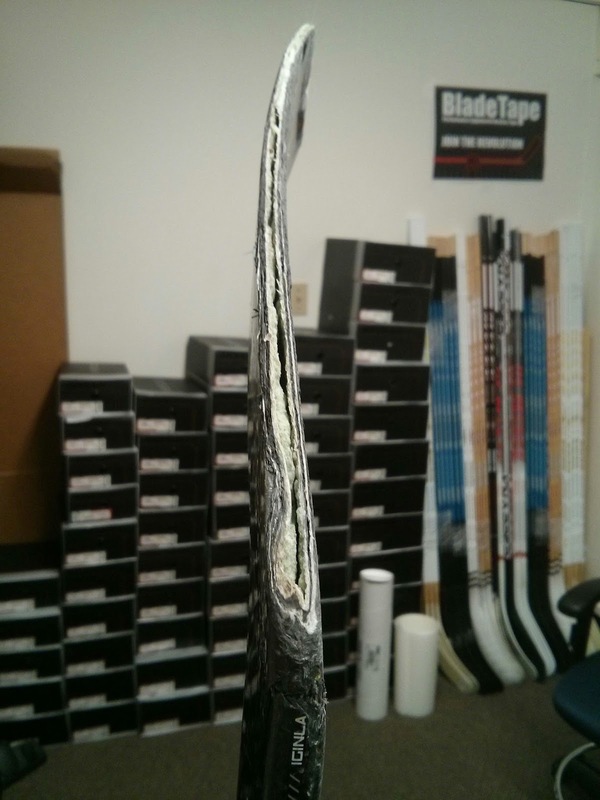 Ball Hockey Blog: Why use ABS Hockey Replacement Blades? 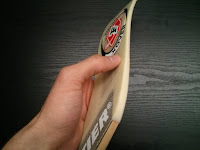 Why use ABS Hockey Replacement Blades? The big question today in ball hockey is why use ABS blades over the Composite blades? The question you should be asking yourself is why AREN'T you using ABS blades? For the price you pay for these high end sticks so that you can have the perfect flex and lightness, is it really worth it in the long run? Deals and sales on composite and wood sticks are great and they entice you to think you are saving money, but in reality you could have spent the same money on an ABS blade that would last you twice as long. Now that's a deal! ABS stands for acrylonitrile-butadiene-styrene (that's a mouthful), which is essentially a hard plastic. When you apply the right amount of heat, the blade can be shaped, molded or curved as necessary. This "hard plastic" is what adds durability to the blade unlike wood or composite blades. The downside to this material, is that there is a loss of feel and an increase in weight but does that actually affect your shot in ball hockey? Ball hockey is a sport that is very similar to ice hockey. In fact, they're practically one in the same. The difference is the floor surface and a ball instead of a puck. It's all the difference it needs to chew up your stick. You know exactly what we're talking about. The common splitting blade. 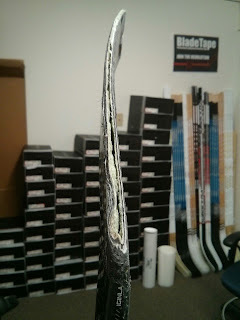 between the blade and surface is no match for wood or composite sticks. A cheap solution is to just add tape to hold your splitting stick together and problem solved. It seems easy enough except now you're adding even more friction which will now impact your shot and cause you to "stick". When the blade of your stick loses it's magic, instead of spending another $100 on a new stick after purchasing one several weeks ago, simply cut off your blade and replace it with an ABS Blade. Now you'll be able to keep composite lightness of your shaft and only have your blade with added weight. Will it slow you down? Perhaps by a fraction but not entirely. In fact, you may even speed up your shot because you'll be removing that unwanted friction from your tape. You'll now have a smooth slide allowing you to move the ball a lot easier. You can still add tape to the face of your blade for grip on the ball. Our BladeTape is excellent for a quick and easy grip application. Lucky for you, Ballhockeygear.ca carries 3 types of ABS Hockey Replacement Blades that you can purchase today. We have our F-Xover Blade, F-Blue Blade, and the F-Junior Blade. 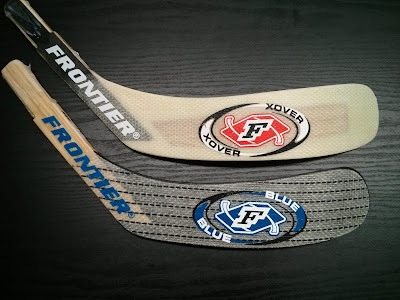 The F-Xover is more of a traditional style fiberglass reinforced solid ABS blade where as the F-Blue has a shorter street hockey blade type. The F-Junior is a Junior version of the F-Blue fitting Junior shafts. Each blade have a fitting selection for regular or tapered sticks. What blade do you choose?